LG has announced it has started mass production of its electronic paper display (EPD) product, with a planned launch in Europe next month. LG’s EPD is a 6-inch, 1024×768 e-ink plastic screen. It’s 0.7mm thick, it weighs 14g, and LG claims it’s resistant to scratches and drops from a 1.5 meter height. Of course, its biggest claim to fame is its flexibility: LG claims the screen allows bending at a range of 40 degrees from its center. 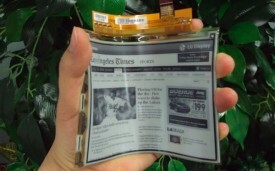 via LG’s Flexible E-Paper Display Is Coming to Europe in April. The Raspberry Pi foundation issued a statement today with a status update on their much-anticipated $35 Linux computer. The first 2,000 completed units have arrived in the UK, but the devices aren’t ready to be shipped out yet because the foundation’s retail partners won’t distribute them to purchasers until they have been stamped with the CE marking. The CE marking, which you can find on many consumer electronics products, certifies that a product conforms with the regulatory standards of the European Economic Area. In order to apply the CE marking to a product, it has to undergo a conformity assessment and the manufacturer has to produce certain documents. The Raspberry Pi foundation wasn’t previously aware that it needed the CE marking in order to distribute its computer. Because the Raspberry Pi computer is a bare board and not a finished end product, the foundation assumed that it was exempt from the requirements. Similar products, such as the BeagleBoard, are legally distributed without the marking. Although the foundation still believes that the CE mark isn’t strictly necessary, they are pursuing the necessary compliance assessment in order to address the concerns of their retail partners. via First batch of $35 Linux computers arrives in UK, awaiting CE compliance testing. 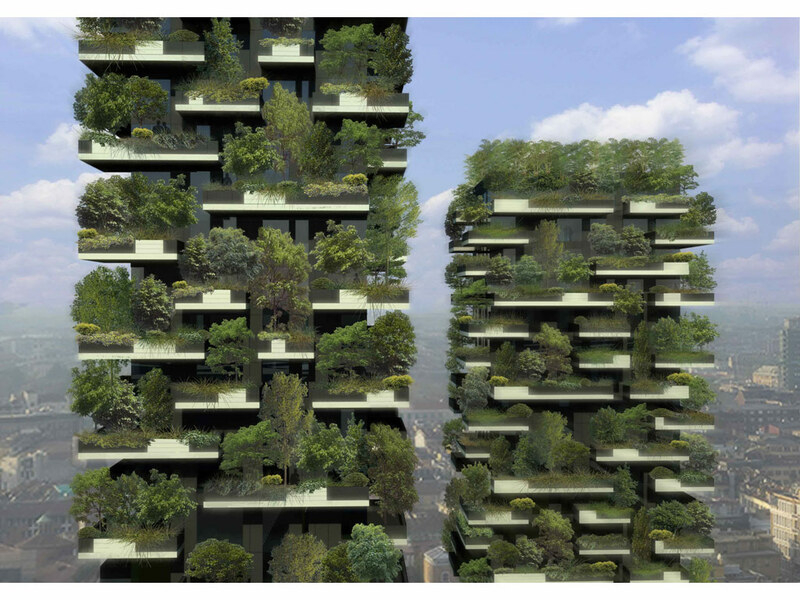 via BOSCO VERTICALE « stefano boeri. Considering how strong a leader Google is, when it comes to cloud-based productivity solutions Google Apps, its a little surprising that the company hasnt introduced a bona fide cloud storage service yet. Coincidentally, registration for Google I/O, Googles annual conference for developers in San Francisco, kicked off this morning. It would make sense, if Google waited until June to officially introduce Google Drive for added publicity and details, if it is going to be as big a venture as we might expect. If the reports are true, Google is expected to kick off GDrive by offering 1GB of storage space for free, with fees for extra storage space thereafter. via Google Drive due as soon as April | Digital Media – CNET News. Ever wish pizza could magically appear at the press of a button? A pizzeria in Dubai has unveiled a new refrigerator magnet that actually orders pizza in a single tap. Impulse eaters beware. Called the VIP Fridge Magnet, the pizza box-shaped magnet is connected to Red Tomato Pizza in Dubai. The magnet is preset to order a pizza online and is connected to the Internet via the Bluetooth connection on a smartphone. Red Tomato Pizza then sends a confirmation text and delivers the pizza soon after. You can also update your pizza selection online at any time. 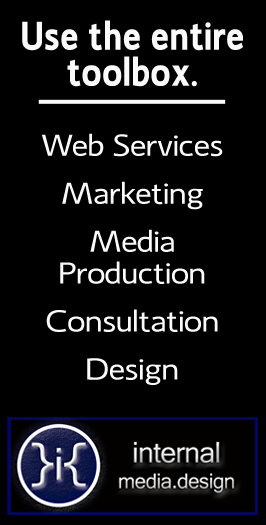 Red Tomato Pizza also released a promotional video to announce the launch the VIP Fridge Magnet see below. via Refrigerator Magnet Lets You Order a Pizza in One Tap. Right now we all use computers the same way: Moving from the back of your desk to the front, you’ve got the screen first, then your hands on the keyboard or mouse, and then your head taking it all in. Now imagine swapping the order so that back-to-front we have your hands first, then the screen, then your head. via Microsoft’s Wicked See-Through 3D Display – Core77. The group plans to move its front-end proxy servers into the sky, creating a network of small mobile computers that are tethered to GPS-enabled aerial drones. The airborne computers, called Low Orbit Server Stations (LOSS), will supposedly be harder for law enforcement agencies to terminate. TPB contends that any attempt to ground its vessels will be viewed as an act of war. The MPAA declined to comment on whether it intends to bring its anti-air capabilities to bear against the pirate fleet. We imagine that the industry trade group will respond by developing a surface-to-air missile system capable of delivering high-speed ballistic takedown notices. The MPAA could also potentially retake the skies by weaponizing carrier pigeons. Alongside such takedown efforts, the content industry’s lobbyists will likely pursue a legislative strategy, such as encouraging sympathetic legislators to ban GPS. TPB said that it plans to use low-cost Linux computers, such as the $35 Raspberry Pi ARM board, to build its fleet. Although the idea is somewhat preposterous and the whole thing is probably a bad joke, a group of technologists apparently already have a real proof-of-concept ready to soar. via Pirate Bay plans to build aerial server drones with $35 Linux computer. The pushback Amazon received from states on the Internet sales tax issue is gaining momentum with e-tailers of all sizes finding themselves the target of new legal and regulatory initiatives. The latest example is Missouri-based Scholastic Book Club, which the Connecticut Supreme Court found owes $3.2 million in sales tax, plus interest and penalties to the state, reports the Hartford Courant. The court found that the club has enough of presence in the state for it to collect sales tax on the company’s book sales. In February, the Americans for Tax Reform noted that more states are moving in this direction. via Internet Sales Tax Issue Gaining Momentum – MarketingVOX. Socialbakers has written many articles about the custom landing tab and how great it is in converting Facebook users into Brand Fans. A customized tab is known to provide users with incentives to Like the Page in the form of special offers, discounts, access to special content, professional tips etc. Setting this tab as a default page made it easy to offer this exclusive content to Facebook users visiting the Page and it also worked as a great welcoming tab with all the brand colors, logos, claims, pictures etc. You Still Have The Unique URL! You don´t have to say farewell to your default landing page because your apps still have their unique URL! That means that you can still drive traffic to your landing page via Facebook ads, your Fan Page and even outside Facebook via your website, blog, emails or other social networks like Twitter. via Pimp Up Your Timeline With Custom Tabs – Socialbakers. We’ve been hearing reports of a Google Nexus Tablet for months now, however the reports are suggesting it may be coming sooner, rather than later. Android and Me claims to have solid sources within Asus that report a $149 quad-core Nexus tablet is a “done deal”, however The Verge is suggesting it might be closer to $199. Either way this is a great price for a 7-inch pure Google tablet, and will be an important step if they are going to protect the Google marketplace from the Amazon onslaught.That is of course, assuming the rumors are true. 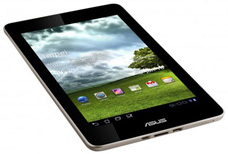 via Maximum PC | Rumor: Asus Built Google Nexus Tablet Coming Soon – Under $200.